Small business accounting firms provide numerous types of services. These services cover everything from simple bookkeeping to in-depth company analysis. Small business owners perform a wide variety of jobs including management, sales, HR and more. Keeping up with the company accounting needs can become a full-time job of its own. To take this burden off of small businesses, accountants offer various services for companies with all types of requirements. With the various small business accounting services available, you can better manage your company finances and focus on growing the business. Read on to learn the best types of small business accounting services to look into. 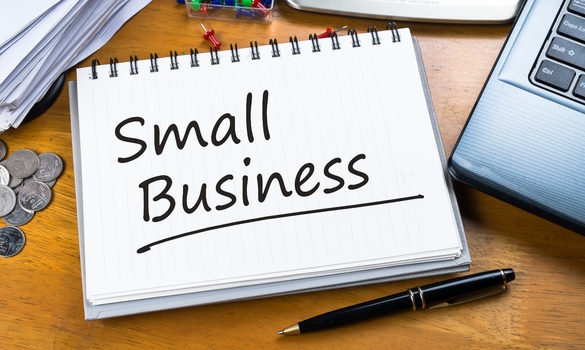 Small business accounting firms offer tax preparation services. By utilizing this service, you free yourself of taxation frustration. An accounting professional can prepare both your state and federal corporate tax returns together. They arrange all year-end business documents. Sometimes, you might need a tax extension to get everything covered. Accountants can provide insight into the best tax solutions and file the extension if necessary. On top of that, they ensure that you keep as much of your profits as possible. They can decrease the number of errors in your taxes as well. For these reasons, tax preparation is one of the best types of small business accounting services. Forensic accounting services are also favorable for small business owners with hundreds or thousands of transactions per year. Once bookkeeping is taken care of, you should ensure that your records are correct. Forensic accountants specialize in managing complex financial data. These services would ensure that your books are accurate. If done on your own, the process could take weeks to complete. Fortunately, forensic accountants are trained to identify any tax discrepancies and fraudulent activity using software. They are trained at noticing mistaken details that could cost you thousands. Such accountants can save your business money that you did not even know you were losing. Therefore, forensic accounting is a very profitable small business accounting service. Another advantageous small business accounting service is credit management. As you may know, business owners must keep business credit and personal credit separate. It can take a long time to build up business credit. Once you have it, it should be maintained carefully. An accountant monitors business credit factors like debt ratios and on-time payment history. Furthermore, they report any actions made to business credit bureaus. This reporting allows for better credit and credit maintenance. In addition, it could lead to higher credit limits for your business, creating access to additional capital for growth. You would receive favorable commercial loan terms based on your superior credit management services. Additionally, firms provide financial statement preparation. This service is also considered one of the best types of small business accounting services. Statements such as income statement and cash flow statement are essential to running a business. The income statement shows where your sales and expenses are happening. Meanwhile a statement of cash flows could show you how well the business is doing. If you are not an expert, accountants can explain the financial statements to you. Then, you obtain the knowledge to make wiser financial business decisions. Certainly, financial statement preparation services are useful for small businesses to analyze their cash flow and profits. Additionally, small business accounting services provide payroll solutions. Payroll management is crucial for business success. Payroll is essential to paying employees consistently on a bi-weekly or semi-monthly basis. If you miss payroll, your employees remind you of their late paychecks in an angry manner. Employees are less productive when they are unhappy with their job environment. Therefore, the result of late or inaccurate payroll can be a setback in work. With small business accounting services, you do not have to worry about suffering a setback. Instead, an accountant will guarantee that payroll is timely and accurate.